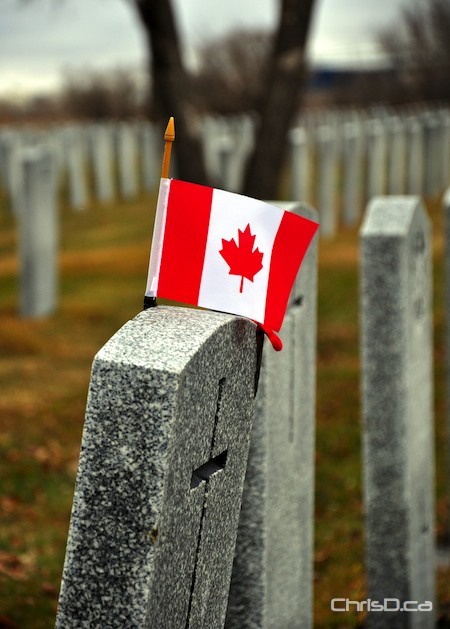 Manitobans paused Thursday to remember the fallen men and women who sacrificed their lives for the freedom we have today. Across the city, Remembrance Day ceremonies took place, including the largest at the Winnipeg Convention Centre, which drew in an estimated 5,000 people. Vimy Ridge Memorial Park also attracted a large crowd, next to the Manitoba Legislature, which held its traditional gun salute this morning. Brookside Cemetery and HMCS Chippawa were also popular destinations. Despite the brisk wind and snow/rain mix, thousands of people both young and old, braved the elements to pay their respects.